Rich people do crazy things with their money, like throw paper airplanes made of cash out the window at passersby. But we've never seen anything like this. 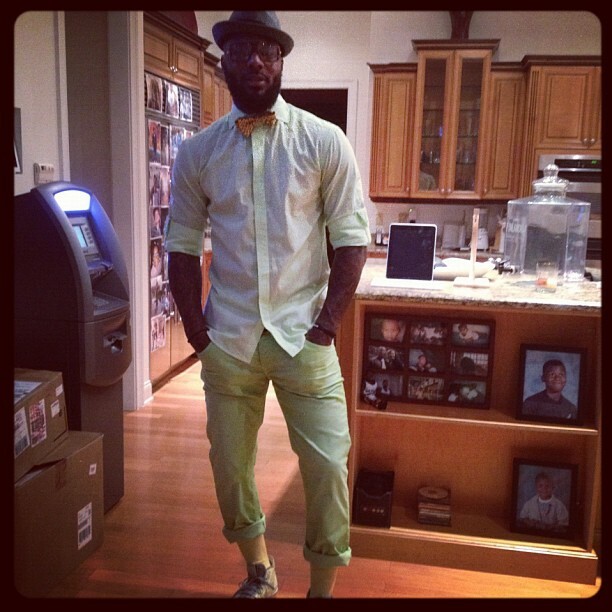 In a recently posted Instagram photo, it appears that NBA star DeShawn Stevenson grew tired of hunting down an ATM to withdraw cash and instead resorted to installing one in the comforts of his own kitchen. We wonder: Is the Brooklyn Nets player -- who earned over $26 million on the court as of 2010, according to USA Today -- planning to charge his buddies a transaction fee for using the machine? UPDATE: We were shocked by TMZ's report Friday morning that Stevenson charges friends a $4.50 transaction fee. According to TMZ, the ATM contains $20,000 and is restocked up to six times per year.